I like to say that you don’t have to be a tourist to enjoy the charm and flavor of this terrific watering hole. We’re not a secret, we’re a local tradition. Real men don’t share half racks! 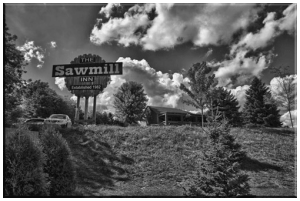 The Sawmill Inn was built in 1982 by a prominent local couple, Don and Ruby Zimmerman. After purchasing the land, Don hauled in truckloads of raw timber and milled it right on site. This eventually led him to name it “The Sawmill Inn”. 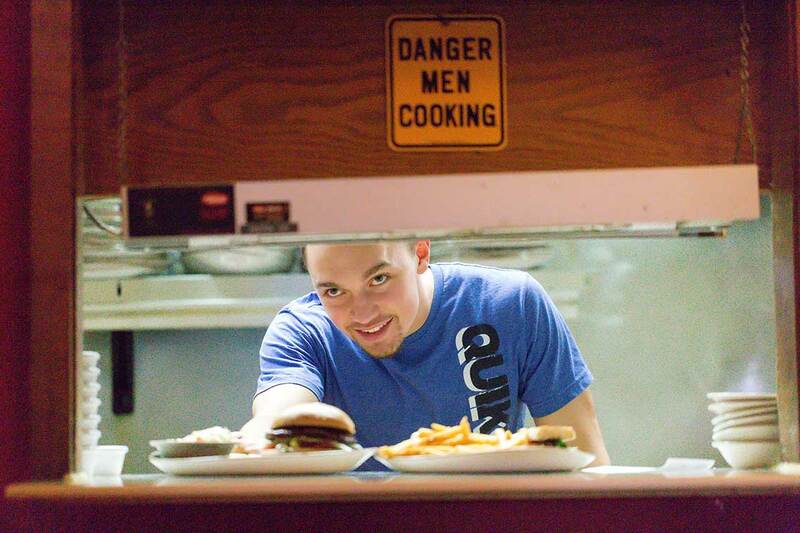 Today, The Sawmill Inn prides itself on using quality ingredients to prepare delicious meals and affordable dining to thousands of guests’ year ’round. Some would say that the restaurant’s “sweet spot” is a difficult choice between the exceptional friendly service and the tasty home-made deserts. The Sawmill invites you to be their guest and find out for yourself why this is one of the areas best restaurants and pub.